Closing in Escrow - DeFoor Business Services, Inc.
What do you do when the buyer has a lease delay? Closing in escrow is a consideration in a situation where you get within a couple of days of a closing and you have everything except the buyer doesn’t have their lease yet. Most of the time, the seller doesn’t want to contact their landlord or leasing agent until they know for sure the transaction is going to close. Sometimes, this occurs a week or two before the actual closing date. That may not be enough time for the buyer to get a new lease in place by the closing date. A buyer accepting assignment of the current lease usually takes less time than obtaining a new lease. 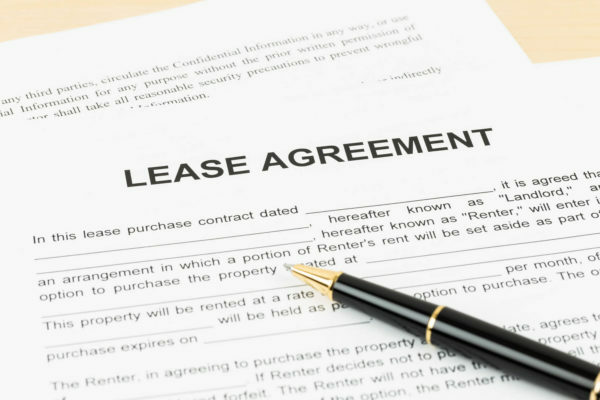 However, accepting assignment of a current lease is not always an option. The lease may have a clause in it that it cannot be assigned. The landlord may not be agreeable to releasing the seller upon an assignment, which makes the seller opposed to an assignment. The remaining lease term may not be long enough for the buyer’s lender requirements to make an assignment attractive. In these cases, the best option is for the buyer to obtain a new lease. Obtaining a new lease usually takes longer than the buyer anticipates. It requires contact with a leasing agent who then has to get the terms approved by the property owner. From there, the process goes to the landlord’s attorney, which usually takes a week or two to prepare a new lease. This takes more time than most people plan for. Closing in escrow or closing delay? When you are ready to close and the lease is the last item, you have two main options. Those are: closing in escrow or delay the closing. You can go ahead and close as scheduled, but that usually means closing in escrow. The closing would be contingent on the buyer obtaining the lease within some timeframe, such as two weeks. If not, the sale is rescinded and the money returned. This is a viable option if the buyer agrees to terms for a new lease with the leasing agent, the landlord approves the terms and the buyer as a tenant, and all you’re waiting on is a copy of the lease document itself. If you decide on a closing in escrow, then you have to decide if the seller or buyer will manage the business until the escrow is released. I discuss this below. Another option is to delay the closing, which seems pretty obvious as the best option to a lot of people, but may not be. If the transaction involves multiple attorneys, what if the only time you can schedule everyone is prior to the buyer obtaining the lease agreement? There could be transition, personal or other business reasons that make closing in escrow the better option. Delaying closing is certainly an option, but not always automatically the best option. Closing in Escrow – Seller Managed or Buyer Managed? When you look at closing in escrow as the option of choice, that brings up another issue related to closing in escrow. Does the seller continue to run the business until the escrow is released, or does the buyer take over control of the business even though they don’t officially own it yet? Both options need to be reviewed and the buyer and seller should discuss with their legal counsel and advisors. There are benefits to either way and the ultimate decision depends on several factors. Does the owner want to go ahead and relinquish control to the buyer even though the buyer doesn’t legally own the business yet? Sometimes that answer may be yes if the seller is ready to exit the business and is confident the lease will be executed in the near future. That can be handled with a management agreement executed by the buyer and seller as part of the closing in escrow. It’s about who has control of the business while the funds are in escrow. With a closing in escrow for the buyer to manage the business, the seller still owns the business but the buyer manages it. In this case, the management agreement is structured so that the buyer assumes the risk of managing the business for the interim period while waiting on the lease. 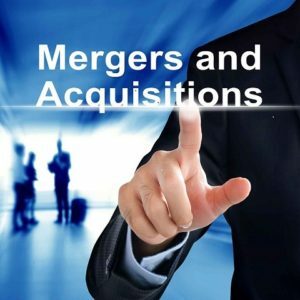 The management agreement states the buyer is responsible for all expenses of the business and also receives all revenue of the business while under management. It certainly takes a high comfort level between the buyer and seller, but is beneficial if the buyer is ready to take control and the seller is ready to relinquish control. This may be beneficial when due to operational issues, it is in the best interest of customers and employees for the buyer and seller to go ahead and start the orderly transition of management. When the times comes to release the escrow and make the change of ownership official, there is little or no additional change. If the seller would rather not relinquish control until they receive payment, then they will want to maintain control of the company until the buyer executes their lease and the escrow is released. If the situation warrants an alternative to delaying the closing date, then closing in escrow is an alternative for all parties to explore to see if it is a viable option based on that particular situation. Greg DeFoor, CPA, CFE, is a licensed business broker and was the 2015-2016 President of the Georgia Association of Business Brokers.